This well established San Bernardino Sports Bar and Grill has been a high-income earner for years, and with recent improvements made by its operator, it still has room to continue to increase its profits via any number of methods! The diverse operation boasts a full (though underutilized) kitchen, a large patio, two bars on different levels, more than enough flat screen and projection televisions, and a comprehensive beer tap system with the requisite walk-in cooler. It also offers its patrons some gaming options (darts, billiards, etc) but by no means has it likely yet to capitalize on the variety of revenue generating options available given this large venue s ideal layout. Location and Facilities: This nearly 10,000 square foot facility leases for just under $6,000 per month on a lease with 5 year options providing for coverage until 2016. 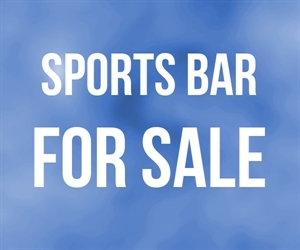 The sale includes all of the bar s furniture, fixtures, equipment, goodwill, lease rights, permits and liquor license. The bar operates with a 3 terminal point of sale system. Approximately $15,000 in remaining inventory will be sold at cost at close. Market Information and Position: While this large venue has a full kitchen with a large 12 foot by 8 foot walk-in, it only offers its loyal patrons a limited bar menu leaving a great deal of opportunity for it to generate higher food sales. In addition, although there is no shortage of usable space, plenty of room exists to expand upon the service offering via the implementation of VIP services, bottle service, private parties, themed event offerings, video game offerings and much, much more! Of course, the simple addition of a website and the development of a client mailing list, to get. Competition: This bar is geographically separated from much of its direct competition and occupies a unique niche in the local bar scene. That said, its excellent freeway access and its sheer available of top quality interior and patio space, together with a large parking lot, provide this venue a long term sustainable advantage that can be further capitalized on.